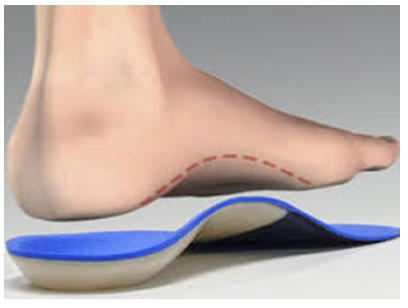 Orthotic devices are specialised shoe inserts which help to realign and improve foot posture and biomechanics, decrease pain and prevent injury. There are many different types some of which are ready made (stock orthoses) and others that are specifically moulded and specialised to fit the individual (custom orthoses). What are Orthotics used for and how will they help me? Orthotics may help in the treatment of chronic foot pain, lower limb injuries, knee, hip and lower back pain. Wearing orthotics off-loads areas of high stress and gives better functional support to the joints and soft tissues in the lower limb allowing pain-free movement. 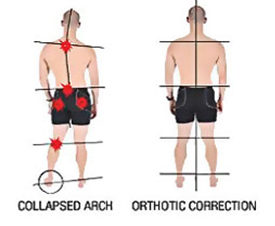 At Athboy Physiotherapy and Sports Clinic our Healthcare practitoners are fully qualified in biomechanical assessment and Orthotic prescription and work closely with the technicians at PPL Biomechanics to ensure you will benefit from Orthotic therapy and get the correct device suited to your needs. Not all foot pain problems/injuries require orthotics and we will be able to clinically reason and decide if they will be of benefit to you. Most often patients will also need to perform rehabilitative exercise programmes to help correct imbalances and prevent the injury returning. Our practitioners will assess your foot posture both statically in standing, dynamically during walking and running and passively on the examination table. We will also look higher up the chain at your pelvis, hips and knees to see what may be contributing to your foot pain or injury. From here you will be prescribed with the correct device for you whether it is an off the shelf device or a fully customised pair and also given a home exercise programme to aid in the prevention of further injury.